What’s the difference between 3D Sonogram, 4D Sonogram, and HD Sonogram? Why choose Great Expectations HD Ultrasound? We offer state of the art ultrasound technology. Our Samsung A35 outperforms every other 3D/4D/HD machine in its class. We are 95% paperless! We send you a link for your paperwork or you can complete it on our tablet at the office. This saves us space and everyone money…and TREES!!! It’s a small step we can take to make this world a better place for all these precious babies. Our color photos are printed on photo quality paper, ready for your scrapbook. They are not inkjet on a sheet of paper that you have to cut out or will smear with a small drop of moisture. They are actual, real life, high-quality pictures. We want these memories to last you a lifetime. If we fail to get good pictures, I will bring you back again for a re-scan, free of charge. Feel free to ask us ahead of time what defines “good pictures”. This is a local, mom-owned business. I perform many of the scans myself and take every single phone call. All of your calls ring directly to my personal cell phone. I understand that this scan is a once in a lifetime memory for you. It’s personal and a large investment. Customer service is my top priority and I want to make sure my clients always have access to me as a business owner with their questions/concerns. My facility is located in the heart of New Braunfels, just down the street from Landa Park in the Landa Professional building. It is comfortable and clean. Most of my client’s comment that it feels more like a spa than an ultrasound room. Good! I don’t want this to feel clinical. In my office, you are family. Now get comfy and let’s see that little peanut! Our Samsung A35 Machine has been seen in television commercials and many printed articles from around the world and used in many hospitals. This machine is the best 2D, 3D, 4D and HD ultrasound machine available. 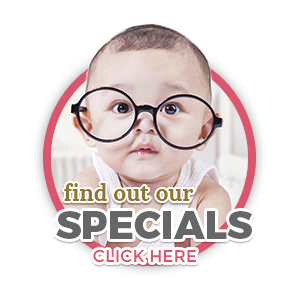 The HD technology will give you unparalleled quality images of your baby that you have to see to believe. Please note, many organizations claim to use “state-of-the-art” equipment when in fact they use older or inferior technology. Ask us about HD technology for your session! 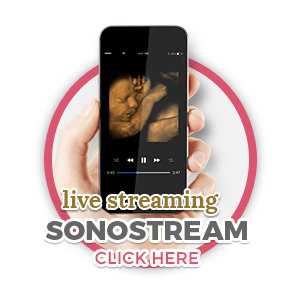 Using our Sonostream streaming ultrasound technology, it is easier than ever to share your 3D/4D/HD ultrasound experience with friends and family. If family members live across town, far away, or if the father is overseas, we can stream your ultrasound session so that they can see what you see, and can also hear everything that is being said in your ultrasound session. It’s just like being there!